3D experiences are pushing their way into the classroom as media-savvy students move from textbooks to digital experiences and the technologies they’ve grown up with. As the ultimate time machine, 3D environments can literally transport students to any point in time to make history come to life. Using Egyptology classes at Harvard University as an example, this presentation will explore how 3D experiences transform the way we learn, and how 3D technology is applied to cultural awareness, virtual archaeology and museum-going. 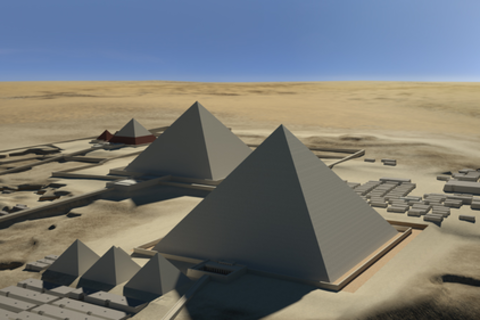 In Harvard’s Visualization Lab, students experience a virtual reconstruction of the Giza Plateau and its ancient necropolis that was painstakingly and realistically created using archaeological data unearthed over the past century. Attendees will see how this innovative approach was initially developed, is now being crowdsourced globally, and welcomed by students as a unique way to better understand ancient Egypt and become actively engaged in the classroom.